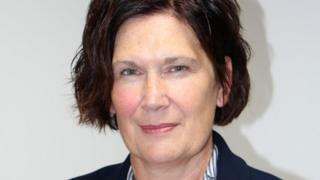 NHS Grampian has appointed a former nurse as its new chief executive. Prof Amanda Croft has led the health board on an interim basis since the retirement of Malcolm Wright last year. She qualified as a nurse in 1992 at Sheffield and North Trent School of Nursing, moving to NHS Grampian in 2000. She was previously Director of Nursing, Midwifery and Allied Health Professions and is a visiting professor at Robert Gordon University. "The people of Grampian - patients, staff and the public - are at the heart of everything we do and I am very proud to have the opportunity to lead such an innovative and vibrant organisation," Prof Croft said. Health Secretary Jeane Freeman said she was "pleased that NHS Grampian now has the additional stability of a permanent CEO". She added: "Professor Croft has built important relationships during her time as interim leader in this post and I look forward to continuing to work with her as she leads the board to deliver the quality, person centred and safe health care that I and the people of Grampian expect."